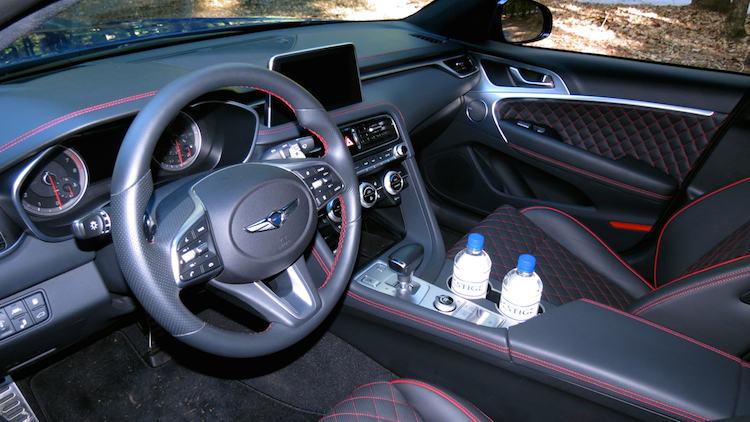 With the G70, Genesis now has a trio of luxury sedans to consider. Things are getting serious at Genesis Motors. When launching the upscale brand in 2015 with two sedans, the Hyundai Motor Group promised to populate its luxury marque with six models. 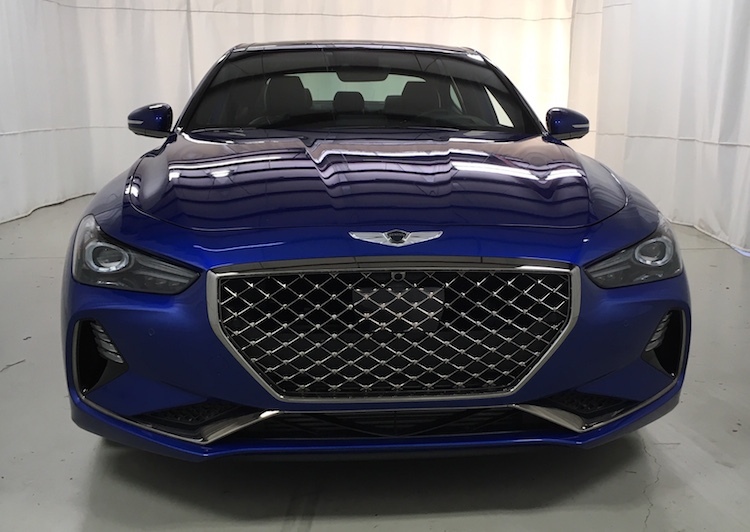 This year, Genesis released its third model, the compact G70 sedan, making its strongest case yet as a luxury manufacturer. 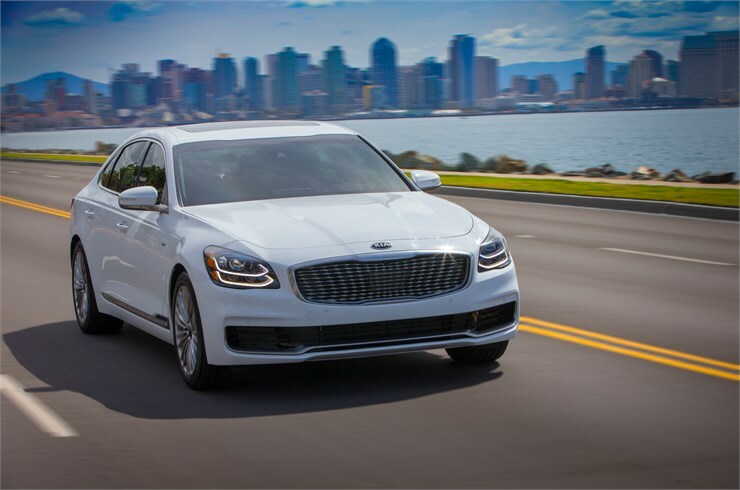 Indeed, where the midsize G80 and full-size G90 sedans established toeholds in their respective segments, the G70 is going after the heart of the matter, in this case, models such as the BMW 3 Series, Mercedes-Benz C-Class, and the Audi A4, among others. Yes, Genesis is delivering its sedans first, with two SUVs to follow. A sixth model, perhaps a hybrid sports car, will flesh out Genesis’ product line. And if you think Genesis Motors will rest on its laurels come 2020, you have another thing coming. The Korean luxury brand aims to take on the world, and will likely do battle with Lexus, Jaguar, Acura, Cadillac, Infiniti, and other luxury brands moving forward. 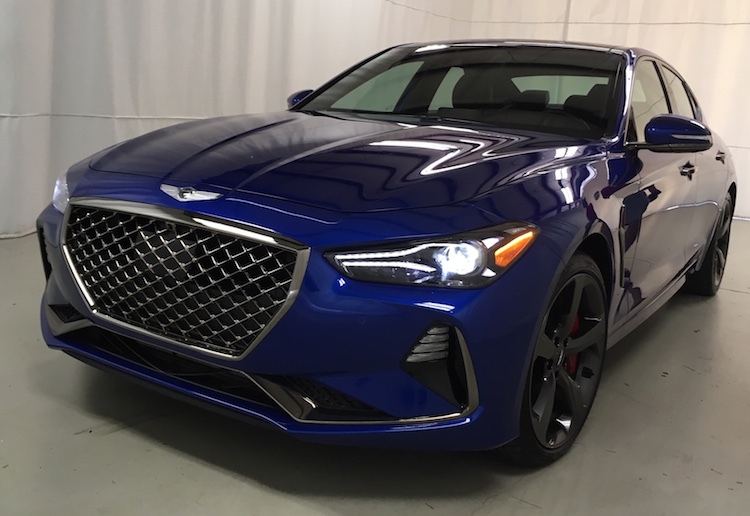 The G70 may be the best example of Genesis’ bona fides, a sedan with a strong presence and the luxury and performance chops to back it up. It is Genesis’ riskiest model yet, as it invades territory long dominated by a few players. BMW and Mercedes-Benz have the strongest entries (and they’re also new for 2019), with competitors such as the Lexus IS, Cadillac ATS and the Jaguar XE offering a modest presence. 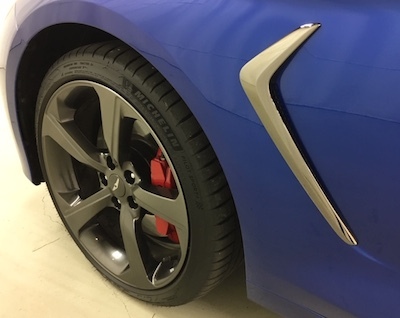 Genesis offers the 2019 G70 in five trims, with each one based on a particular engine and drivetrain. The base model comes with a 2.0-liter turbocharged inline four-cylinder engine paired with an 8-speed automatic transmission. This rear-wheel-drive model starts at $34,900. Add $995 for the destination fee. The second model is the all-wheel-drive version of the base model. This one starts at $36,900. Yes, there is a six-speed manual gearbox available with the base rear-wheel-drive model only. Here, your cost is $37,900. The fourth trim is powered by a 3.3-liter twin-turbocharged V6 engine with an 8-speed automatic transmission. This one retails for $43,750. If you prefer all-wheel drive, then your cost is $45,750. You’ll also find various package upgrades, including 2.0T Elite Package ($5,000), 2.0T Dynamic Package ($9,000; $8,000 on the all-wheel drive) and 2.0T Sport Package ($10,000; $9,000 on the all-wheel drive). You’ll also find a 3.3T Elite Package ($1,750), 3.3T Dynamic Package ($4,250) and 3.3T Sport Package ($5,750) choices. We’ll mention items from those packages as we discuss various other features moving forward. Importantly, the 2019 Genesis G70 matches the starting price of the 2019 BMW 3 Series. The G70’s top-end pricing is lower than the BMW and its amenities list goes deeper. What it doesn’t offer to U.S. customers is diesel or hybrid variants. We think the latter will eventually become commonly found in Genesis’ future product plans. You may have heard that the Genesis G70 is related to the Kia Stinger. This is true. The corporate cousins share a common platform, although the G70 is slightly smaller than the Kia. It also takes its own styling direction — the silhouettes of the two models are quite dissimilar. Up front, the G70 has a strong fascia, amplified by a gaping grille covered in mesh. Sleek wing-like headlamps touch the top of the grille. Large dugouts for the lower intake, stress this model’s aggressive demeanor. The G70’s profile features a long hood, a high beltline and a sloping roofline leading to a notched rear deck. Important design elements include boomerang accented side vents, which are common to sports cars, sport alloy wheels set within performance tires, red Brembo brakes and just enough body sculpting to keep things interesting. From the rear, the fascia features an oversized trunk lip spoiler that serves as a bulge transecting the length of the trunk. Wraparound tail lamps, dual chrome exhaust tips, and a diffuser complete the look. Yes, there are some differences between trims. My description applies to the top-trim model, which was my test vehicle and topped $52,000. Inside, the G70 delivers an elegant, yet straightforward cabin. It isn’t cluttered with knobs and switches or overrun by complex lines or secreted compartments. Much like the BMW 3 Series, the layout features analog readouts, sizable round dials, and a minimalist persona. 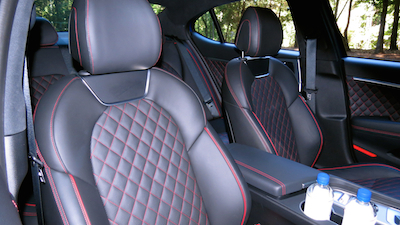 The quilted leather seats are the eye candy of choice for the G70. The visual appeal is complemented by passenger comfort, with the front seats offering a proper amount of bolstering and support. 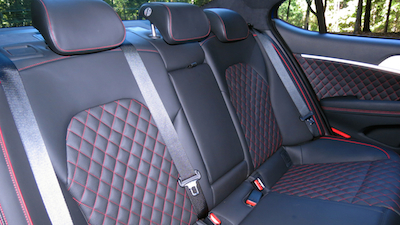 The rear seat is comfortable too, but like the BMW, legroom comes at a premium. Unless the driver or front passenger elect to have their seats pulled forward, you’ll soon realize that the rear seat is best left for children. Standard interior features include a tilt-and-telescopic steering column, imitation leather seats, power front seats with driver power lumbar support, climate control and full power accessories. Optional features include alloy pedals, Nappa leather seating surfaces with sport quilting, heated and ventilated front seats, and aluminum trim. Some luxury manufacturers make obtaining technology expensive. That is if you want such add-ons as Apple CarPlay, expect to pay $300 or more for the service. Most mainstream manufacturers include Apple CarPlay and Android Auto compatibility for no charge. The same can be said for Genesis. The standard color display measures seven inches. 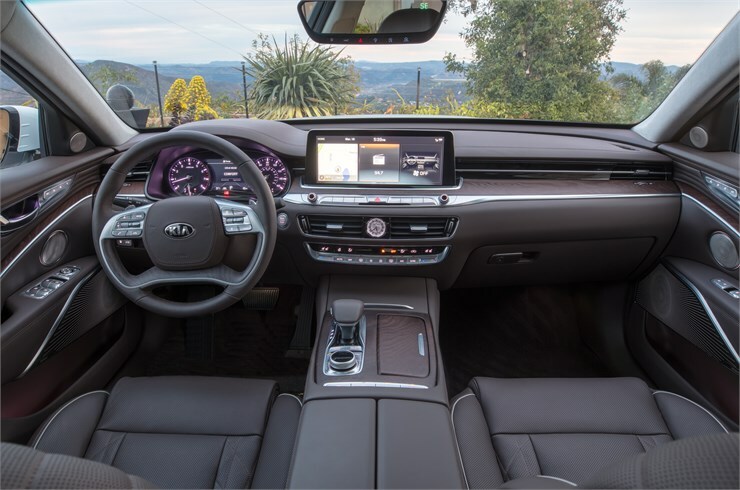 You’ll also find a rearview camera with parking guidelines, Bluetooth connectivity, a six-speaker audio system with satellite radio and HD Radio, and three USB ports. Optional features include a 15-speaker Lexicon audio system and full navigation. Driver-assist safety technologies build on any model’s core safety systems, including brake assist, a suite of airbags, and crash test scores. We don’t yet have test scores from the National Highway Traffic Safety Administration (NHTSA) nor the Insurance Institute for Highway Safety (IIHS), but we’re confident this Genesis will do fine. All models come with forward collision avoidance assist with pedestrian detection, lane keeping assist, blind-spot collision warning with rear cross-traffic collision warning, smart (adaptive) cruise control with stop and go, driver attention warning, and high beam assist. This is a remarkable suite of advanced safety features and they’re included at no extra charge. Much of the competition is gradually adding features to the standard equipment list, but Genesis has the full package included. What flavor is your Genesis G70? My preferred model is the middle trim with the base engine and a manual transmission. I’m of the school where “rowing your own” is the preferred choice. When I’ve driven a BMW 3 Series with a manual gearbox, you couldn’t wipe the smile off my face. Alas, Genesis sent the top-trim model my way. But I have no complaints with that decision whatsoever — it just means I’m not able to make comments about rev shifting and clutch uptake. In any case, BMW and Mercedes-Benz no longer offer manuals with their compact sedans, a decision that disappoints some enthusiasts to no end. Paddle shifters, anyone? 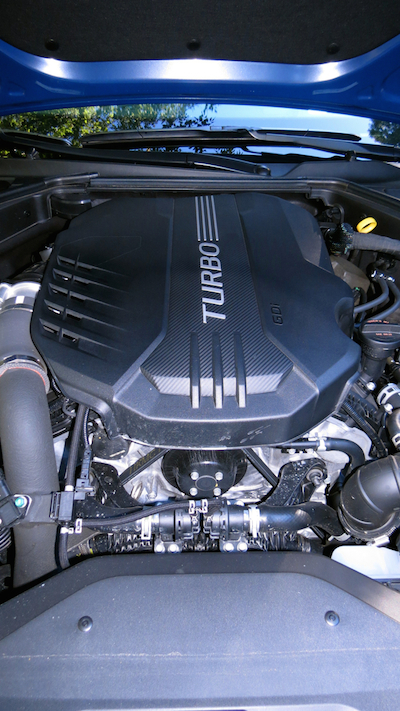 If you opt for the base G70 engine, you’ll have 252 horsepower and 260 pound-feet of torque at the ready. These are good numbers, although if you want stronger performance to go with adroit maneuvering and a firm ride, an engine upgrade is in order. That’s exactly what was under the hood of my test model — a twin-turbocharged 3.3-liter V6 engine with 365 horsepower and 376 pound-feet of torque. It delivers an outstanding 0-60 mph time of 4.5 seconds or two full seconds faster than the standard engine. One of the first things I noticed about the G70 is its fairly hushed, but still aggressive exhaust note on ignition. The low hum suggests something strong is at play, a fact confirmed by engaging the gas pedal. Copious amounts of power is at the ready and quickly tapped with no hesitation felt. While power is certainly a G70 attribute, where this model’s strength lies is in its handling. Take the Genesis on a twisty road and it remains poised and stays planted on the sharpest turns. Indeed, the combination of Michelin sport tires and excellent suspension tuning ensure success in all your driving endeavors. The G70 reminds me of the 3 Series in a very important way — it makes most any driver look skilled when entering and leaving corners or while hanging with the twisties. By the way, rear-wheel-drive models get a limited-slip differential. Is there any downside to the G70? Yes. And that would be its harsh-at-times ride. There is no escaping the fact that when the Sport drive mode is chosen, the ride loses whatever softness is left, while also supplying a real connection with the road. That connection includes magnifying bumps and other road insults, which means you’ll want to choose smooth pavement wherever it can be found. Mission Accomplished. Or at least, Mission Compact Luxury Sedan. 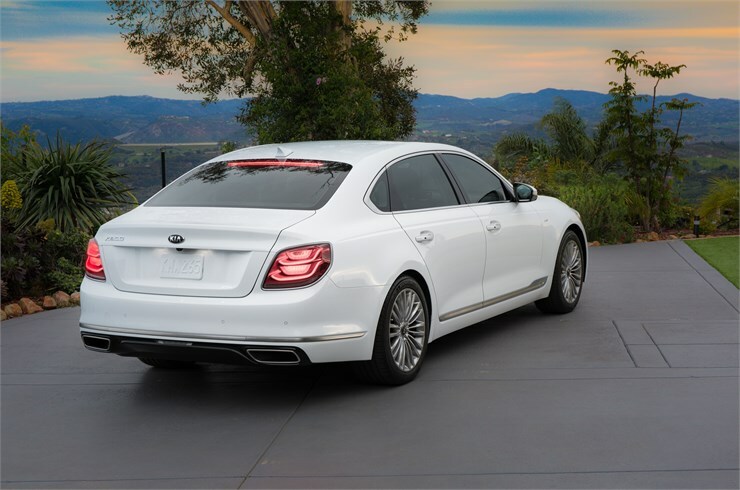 Genesis Motors rounds out its sedan line in an important way, delivering a model that should attract entry-level luxury model shoppers. Yes, Genesis absolutely needs to transition to SUVs, but you have to admire the brand for concentrating on its core competencies before launching an SUV. 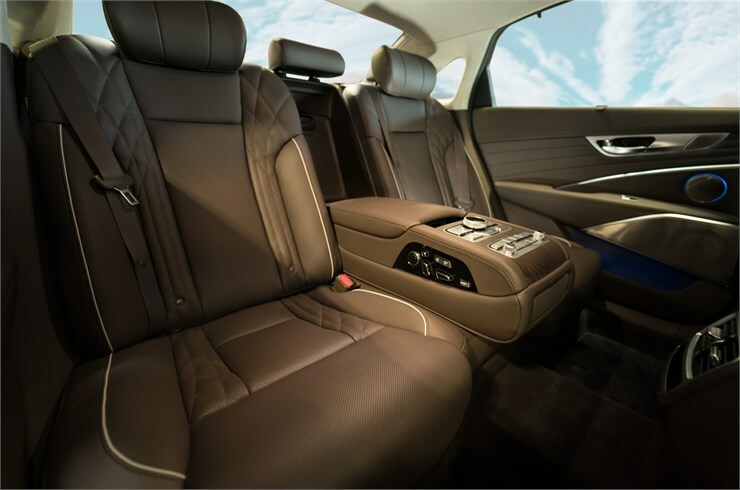 Aiding the G70’s cause are robust services that go with it, including complimentary scheduled maintenance for the first three years or 36,000 miles with corresponding valet service. That service includes picking up and delivering the G70 for scheduled maintenance and supplying a courtesy replacement vehicle. 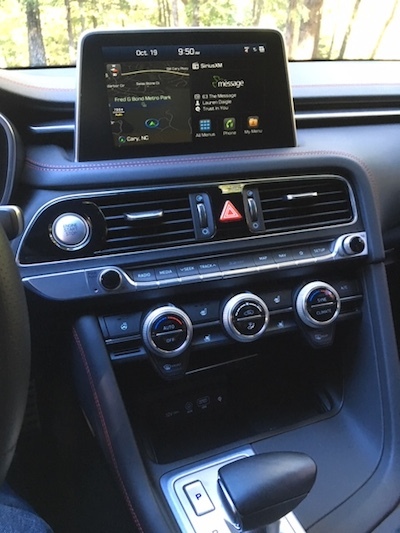 You’ll also find three years of connected car services, satellite radio along with regular multimedia and navigation updates. 2019 Genesis G70 photos copyright Auto Trends Magazine. All rights reserved.